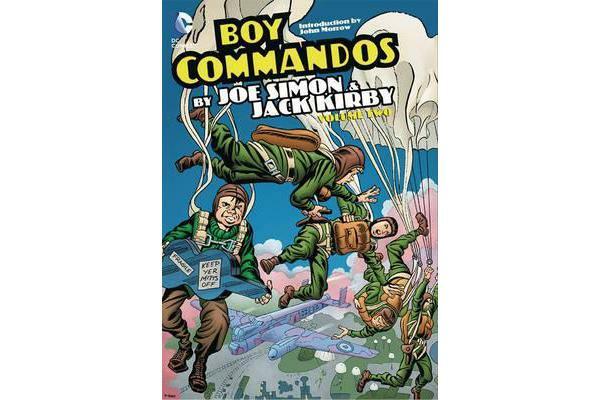 One of the most popular of Joe Simon and Jack Kirby s kid gang comics from the early 1940s, The Boy Commandos were an international team of boy soldiers dedicated to fighting the threat of Ratzis. The team included members from England, France, the Netherlands and the United States, under the leadership of Captain Rip Carter. In this collection, the Boy Commandos must save a man accused of being a German spy, escape the clutches of enemy kidnappers, encounter a mystical monk looking for items that exemplify modern civilization, set up a pirate radio station behind enemy lines, and stand accused of treason. Collects stories from Boy Commandos #3-5, World s Finest Comics #10-13, and Detective Comics #74-83 and 85.